Location Bassin d'Arcachon in the municipality of Teich. Capacity 4/5 people, 50 m2, renovated in July 2016. 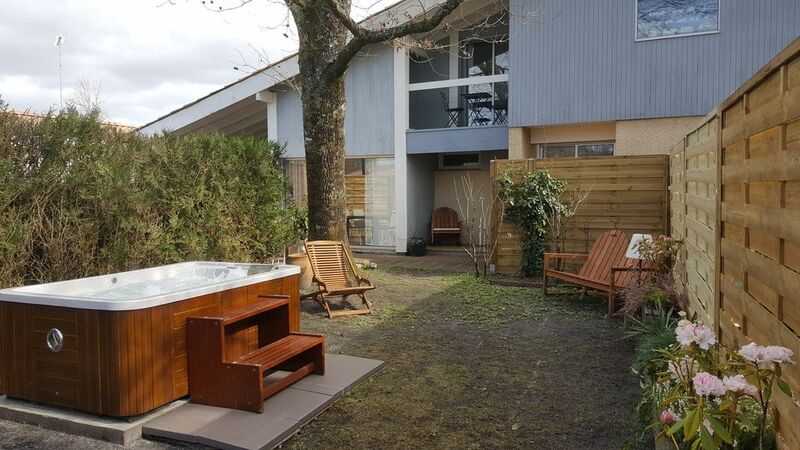 1 large room upstairs with balcony, bed 160 cm, extra bed. A living room with a large sofa bed, TV, home theater, DVD player, 120 TV channels. Nice garden with jacuzzi. Semi-detached house, totally independent with private access.